As a general rule, something can only be called “Human Nature” if it extends across all time and places. No matter how you cut it, weapons are a part of what it means to be human, be it a sword, axe, cannon, or what have you. But ever since firearms have been accessible to the masses, they’ve had an enormous impact on the world. Whether we like it or not, guns have shaped the world around us – the fact of the matter is that much of how the world has developed can be directly attributed to the influence of guns in hunting, sport, war, competition, self-defense, and crime. I was recently covering Wilson Combat and their remarkable 1911s, and it got me thinking about how influential the classic handgun has been. Even just considering wars alone, there are dozens of weapons which have turned the tides of history, such as the American Long Rifle, Spencer Repeating Rifle, and the M1903 Springfield. Nevertheless, there are those few select firearms that have not only cemented themselves into the history books, but have also visibly impacted modern society. In this week’s edition of Gunivore’s Fast Five, we are going to evaluate a small sample of these celebrated guns, broken down into different categories. I must admit, with centuries of time and thousands of firearms to consider, this was no easy task. That being said, I wanted to focus primarily on the innovative weapons that have withstood the test of time. For example, although the M1 Garand – designated as “the greatest battle implement ever devised” by General Patton – was unequivocally important and influential, it did not meet my criteria for making the list. 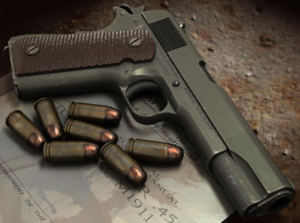 The Colt 1911 was, is, and may continue to be the most influential semi-automatic pistol ever created. In fact, Springfield Armory has even called the 1911 “the most revered and time-honored semi-auto handgun ever designed”. Naturally, this list was bound to contain at least one John Browning invention and this one may be his finest. As one of the most iconic U.S. Military staples, the Colt 1911 was the standard issue sidearm for nearly 75 years, and is still employed by several elite Special Forces units. Likewise, these powerful single-action pistols are employed by militaries and law enforcement across the globe. Currently, 1911s are once again becoming some of the most popular handguns in the civilian market, with tons of companies getting in on the action. In addition to Colt’s modern revamp of their trademark pistol, Smith & Wesson, Remington, Sig, Wilson, and Taurus, all manufacture new and improved editions of the American classic. All things considered, these durable .45 caliber workhorses aren’t going anywhere anytime soon. Runner up: Browning Hi-Power – As the famous weapons pioneer’s final invention, the HP has seen countless action since its inception in 1935, especially in global conflicts. Once again, Colt makes the list, this time with their illustrious Single Action Army Revolver. This historic handgun has been an industry favorite since its debut in 1873. Christened The Peacemaker, the legendary wheel gun was not only a popular military sidearm, but was also all the rage in the American West. This product of Colt innovation forever changed the business with the introduction of assembly-line manufacturing. As the revolver that “won the West”, the Colt .45 was the first firearm to truly perfect the new self-contained metallic cartridge. 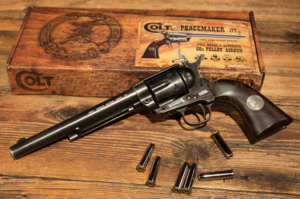 Thanks to its frequent appearances in pop culture and historical significance, the Peacemaker is still one of the most sought after revolvers out there. In fact, Colt still markets these 6-shooters for upwards of $2,000. Runner Up: Smith & Wesson J-Frame – For nearly 75 years, S&W’s J-Frame revolvers have been some of the most dependable and attractive in the industry. While it all started with the Model 36 in 1950, the .38 Special really took off with the Model 60- the first successful stainless steel revolver. Trying to classify history’s most important and influential firearms was getting pretty tough, until I arrived at the rifle category. I can’t think of a more fitting winner than the extraordinary AK-47. When Mikhail Kalashnikov –the Soviet weapons designer behind the AK – began building his rifle, accuracy was not his priority. In order to economically mass produce these firearms for the Red Army, he set his eyes on simplicity, reliability, and most importantly, firepower. 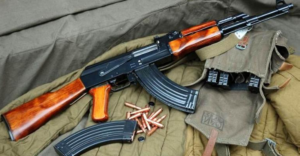 With over 75 million AK-47s manufactured, plus an additional 25 million Kalashnikov-family variants, these 7.62 x 39mm rifles are by far the best-selling firearms of all time. In fact, you’d be hard bent to find a global conflict in the last 70 years where there weren’t AKs. Most impressively, despite its inexpensive construction these rifles can handle some of the harshest conditions in the world, such as the Afghani deserts and Siberian plains. As one of the world’s most influential assault rifles, the AR-15 and its derivatives are among the best-selling, most influential, and top-rated firearms in the world. In addition to serving as the rifle of choice by militaries around the globe, AR-15s are a favorite for home-defense, sport, hunting, and competition shooting. The Modern Sporting Rifle, initially crafted by ArmaLite, has seen some tremendous derivatives, including the M16, M4, HK416, and many more. While gaining notoriety, the AR-15 platform rifles have become arguably the most trusted platform in the industry. By name alone, Remington is undoubtedly one of the world’s most important and influential weapons producers. 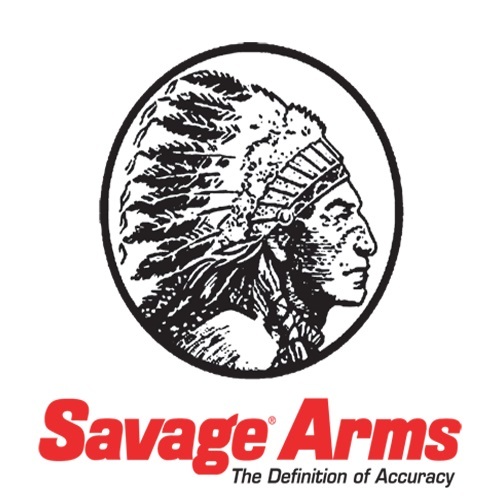 Although they have been manufacturing top-notch firearms for over 200 years, there is one that sticks out to me as the most significant. 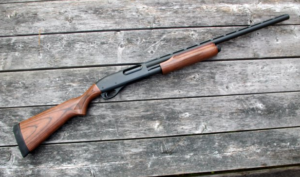 Around halfway through the 20th century, the American company unleashed their Model 870 shotgun and it is still a modern marvel to this day. Over the course of the last few decades, Remington has released several variations of barrels, stocks, and gauges, including their extremely popular affordable models. Ultimately, the 870 has established itself as the best-selling shotgun in history, with over 11 million units sold. What makes these scatterguns so special is their versatility; Remington 870s are popular world-wide among all kinds of shooters, including hunters, sporting shooters, home-defense shooters, military and law enforcement. Not surprisingly, they are one of the most commonly-used firearms in the U.S. Government, commissioned by the U.S. Border Patrol, Dept. of Education, IRS, Secret Service, U.S. Marshals, and FBI. When Winchester released their Model 1897 shotgun, with the help of John Browning (once again) they forever changed the firearms market. The M97 was not only the first commercially successful pump action shotgun – ultimately setting the stage for all further shotguns – but it was also a staple weapon among military and police for almost a century. Although Winchester has stopped producing these iconic shotguns, their influence on the industry is immeasurable. 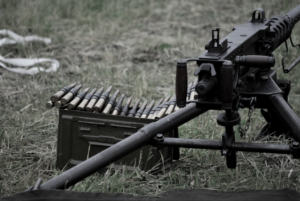 To no surprise, John Browning is the source of another one of history’s most influential firearms, this time with the M2 Browning machine gun. Produced between WWI and WWII, these formidable beasts have been used by militaries in wars on nearly every continent since its inception. 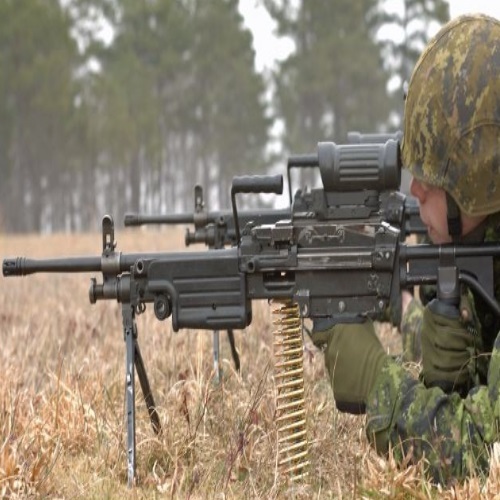 But this legendary gun is not just some piece of the past; the renowned Browning machine gun is still widely used today thanks to its timeless power, durability, and reliability. One of the M2’s most outstanding features is its frightening .50-caliber rounds, which are capable of piercing 1-inch steel armor and are lethal at up to 2,000 yards (over 1 mile!). See more reviews on Stoeger’s M3000, M3500 and Condor Shotgun!